Here’s a rap tribute is to a man who inspires with not only his film but also his grace, humanity, and dignity. 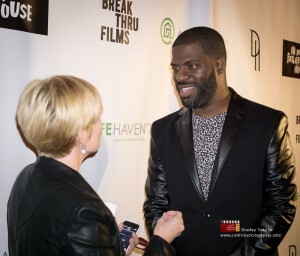 Che “Rhymefest” Smith is a hip-hop artist, well known for co-writing the Oscar-winning song “Glory” from the movie Selma, along with Common and John Legend. He’ll now be known for presenting his story to the world in the film In My Father’s House. Of “In My Father’s House,” you hear? Of forgiveness, truth, and strife. On Monday, October 5, at the Music Box Theater in Chicago, the documentary, In My Father’s House, played to a packed crowd of Che’s family, friends, and colleagues. 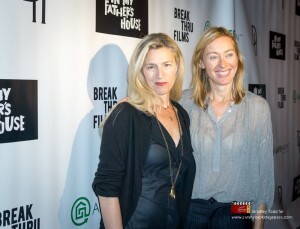 The energy in the building before the film was powerful, equally matching his film’s. It documents the journey of his reunion with his father after twenty-five years. Not knowing if his father is dead or alive, he discovers that his father is indeed alive; living amongst the homeless while battling alcohol addiction. When people hear about a reunion between a parent and a child, they assume it is a “Hallmark” moment. They immediately jump to a happy place because it feels good. However, this is not always the reality. His film shows how it can be similar to opening the lid on an emotional stew that has been on simmer for a long time. There is a wide variety of flavors that are tangled together and need to be identified. Not everyone would be keen to share their truth and let the world see inside their life. When Che was speaking to another reporter, he said, “If you don’t document your experience here on earth, what is the proof you ever existed? 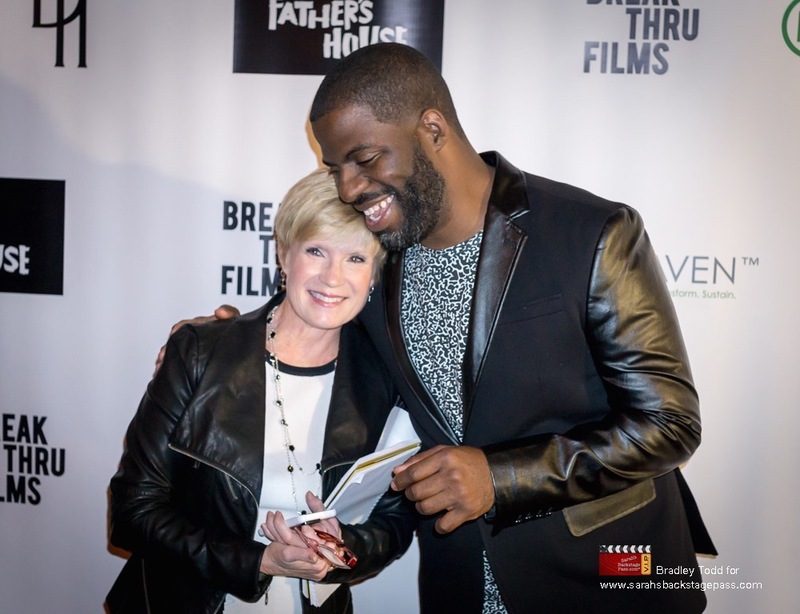 I am excited what others can possibly gain from this film.” You may find a little piece of your life’s experiences that are similar to his story. 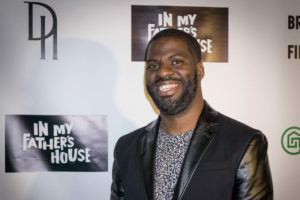 Donnie is the Co-Founder and Executive Director of Donda’s House, a non-profit in memory of Donda West. She is passionate, along with Che, who is the creative director, about giving back and supporting Chicago’s young aspiring artists. In the film, the clips of Donda’s House are inspiring. What a beautiful and safe environment was created for youth to express their feelings through art and music; this speaks volumes about Donnie and Che. Also in attendance was Brian Smith, Che’s father. With Che and Donda’s support, love, and the extreme help of “A Safe Haven,” Smith learned to beat his alcohol addiction and to function in society as an independent man. Smith made a comment that the reunion was pretty “spicy,” but everything was all right. He said, “It was like a Cinderella story and a roller coaster ride.” That is definitely what is shown in the film. They were asked if at times filming becomes too personal and uncomfortable when filming. 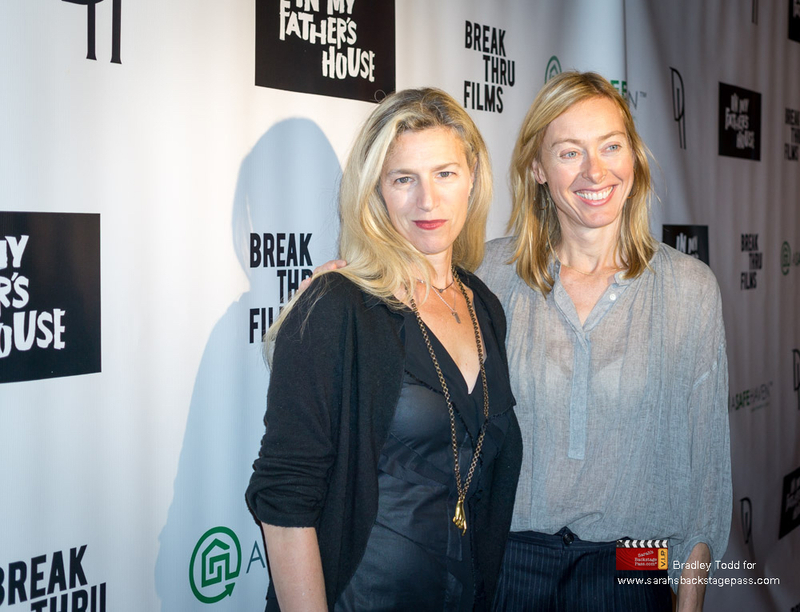 Sundberg said, “The process of making a very intimate documentary that is cinema verite [a documentary filmmaking technique] where you are in it, in people’s lives. There are often very uncomfortable times where you are witness to people going through turmoil, ups, and downs. It’s okay to bear witness to it. You are helping them get through something that they can reflect on afterward and make those hard choices what goes in or out of the film later. It’s okay to be there in the moment. We also develop strong relationships with the people we make films about.” They continued to talk about how, in making this film, they can grow from the experience and their lives are enriched from working with Che and his family. It’s apparent the bond they all had formed, and this perfect storm is why the film sends such a powerful message to all people. 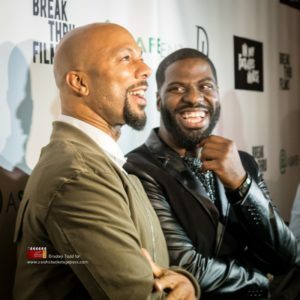 Last, but not least, at the end of the Red Carpet segment, excitement filled the room, and people parted as Common entered. 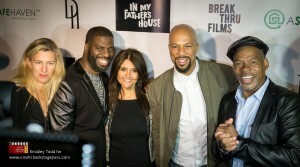 You could feel the genuine friendship and family between Common and Che. That was a reunion in itself.